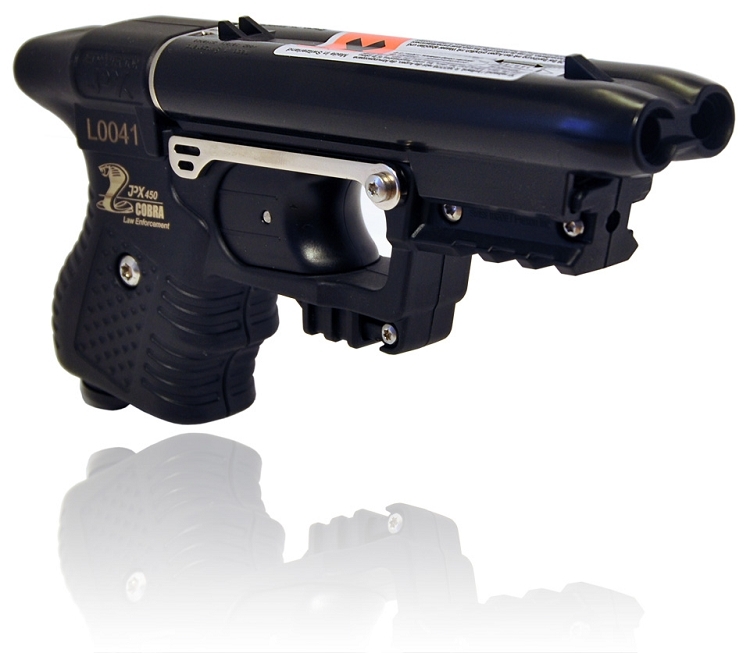 The FIRESTORM JPX 2 Standard Pepper Spray Gun has a patented propulsion system launches a high grade Oleoresin Capsicum pepper resin solution faster than a any pepper spray and up to half the speed of a bullet at 590 fps. OC oleoresion capsicum irritant agent and its effects in conjunction with Jet Protector Technology Oleoresin Capsicum (OC) is an extract of the cayenne pepper plant. OC is the most effective inflammatory agent available today, and is successfully used by law enforcement professionals around the world. OC has proven superior to both CS and CN tear gas when used against assailants under the influence of drugs or alcohol, as well as against psychotics. The inflammatory agent fired from the Jet Protector products is immediately effective upon contact with the face of an aggressor. The high velocity of the liquid jet as well as the inflammatory effects of the OC agent instantly interrupt forward movement. The OC works rapidly as an inflammatory agent to the eyes, mucous membranes and respiratory system. The result is temporary blindness, coughing and nausea with extreme discomfort. The eyes of the aggressor immediately shut, and the high velocity of the jet ensures that the agent will penetrate behind eye glasses, through cloth masks and other masks with eye openings. This temporary blindness leads to instant incapacitation and lasts for about 45-60 minutes. Symptoms will disappear, usually with no after-effects. 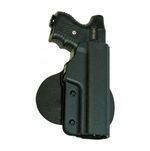 Excellent for self defense...I am an NRA instructor, and I recommend this to my students as an alternative to the use of deadly force. 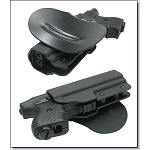 MyStunGun.com delivered on time and at a reasonable price. I highly recommend this bundle!